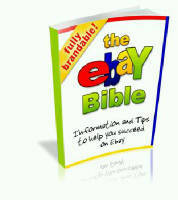 On any given day, there are millions of items on eBay available through auction-style and fixed-price trading. There is no time like the present to jump on the eBay bandwagon. Below is a very basic overview for the beginning seller. It's not nuclear science – anyone can learn easily how to start selling on eBay.